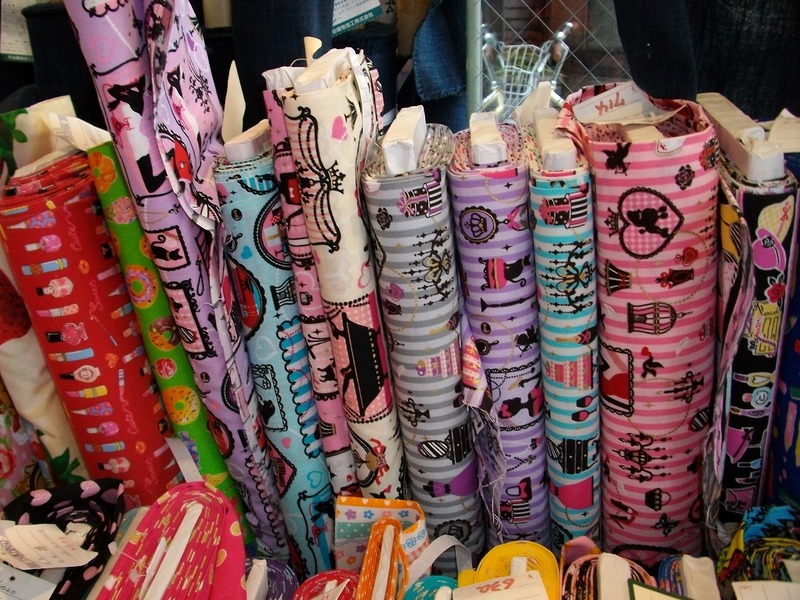 Fabric shopping in Nippori by Laina | The Badical One. Laina wrote up a little about fabric shopping on her tumblr but I figure I would make it an entry in here as well since shes the expert on the subject. 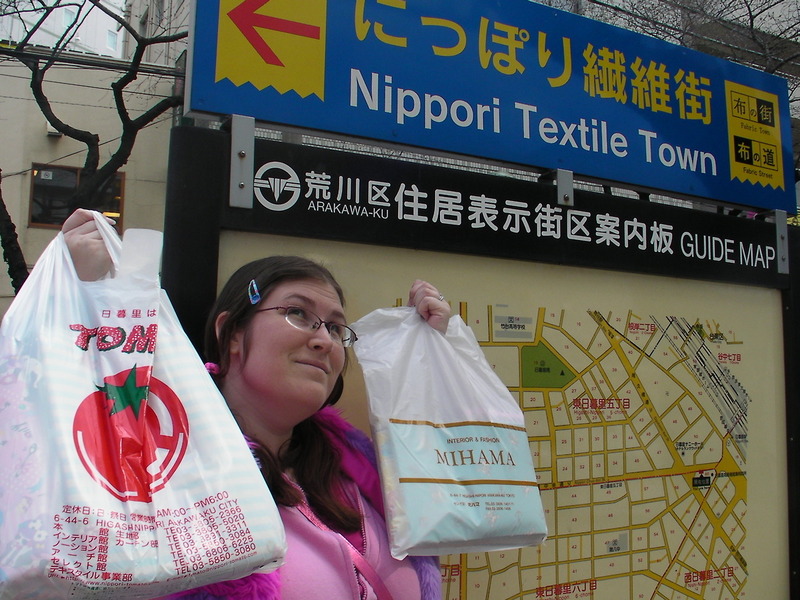 When we were planning our honeymoon to Tokyo last year I knew I just HAD to go fabric shopping, but had no idea where to find fabric shops. After a ton of looking around online I was able to find this handy guide map, which really helped me out!! In Nippori Fabric Town there are TONS of fabric shops of all types, and also just general sewing shops full of ribbons and notions. 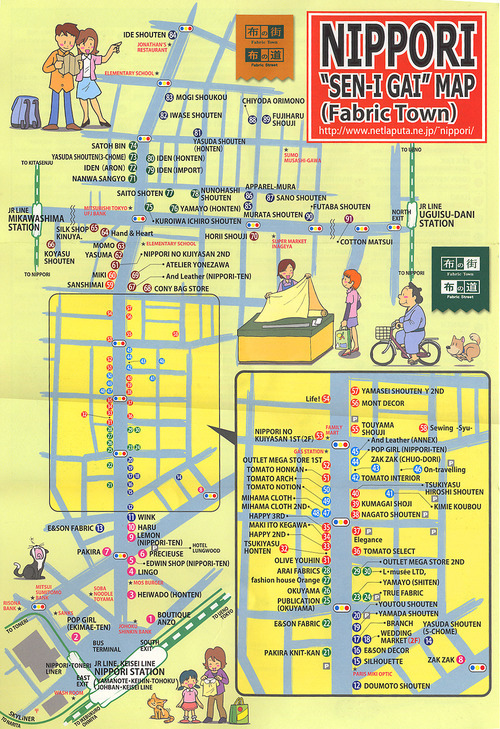 It only takes a short walk from the Nippori Station and plenty of signs and maps will guide your way! I was looking for cute cotton prints so I didn’t look around all the shops that much unless they had what I needed. 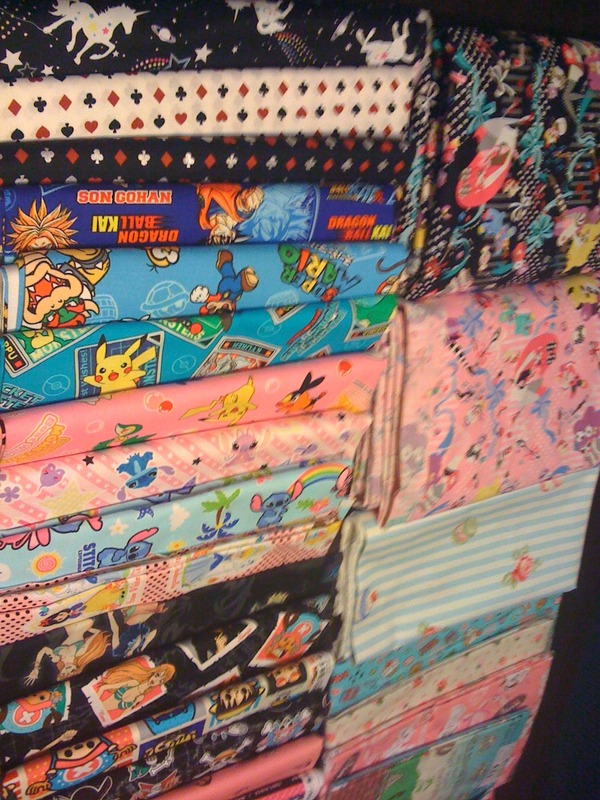 The main 5 story Tomato shop had the MOST cute cotton fabrics by far. They also have an entire 1st floor full of discounted fabrics. I think the character cotton prints were on the 3rd or 4th floor? I can’t remember sorry! 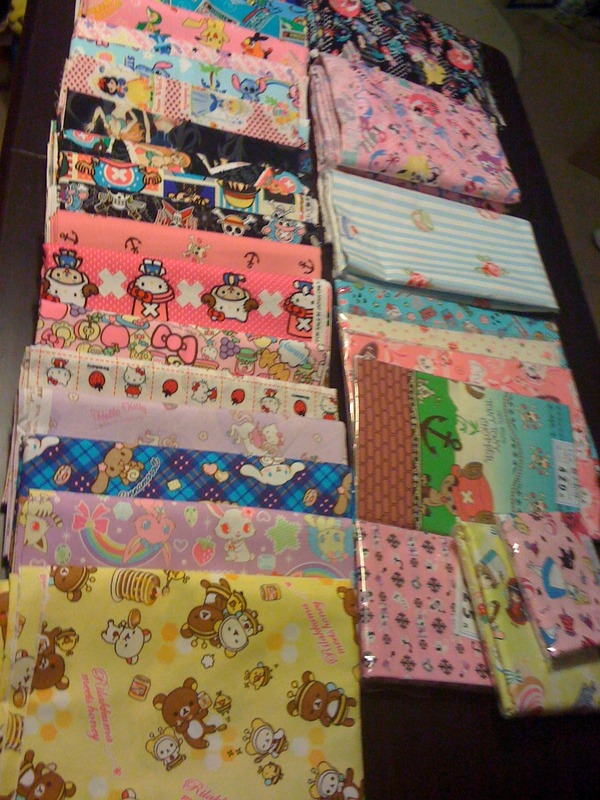 Mihama Cloth is where I got quite a few pre cut half meters, and meters of cute prints too! It’s a smaller shop pretty close to Tomato. Tomato was my favorite though, but also the most crowded! MY GOODNESS IT WAS CRAZY!! It was so hard not to bump into all the other ladies shopping for fabric, and the lines for the cutting counter were SUPER long. The young men cutting fabric were really fast though, so the line went by quicker then I would have expected! After you get your fabric cut you can go to a register to pay~ My husband and I spoke VERY little Japanese and were able to get our fabric cut, and payed for with no problems! So no worries if you can’t speak Japanese! Luckily everything was clearly priced too. If you happen to have any questions about any of this Im sure she would be happy to answer them for you! 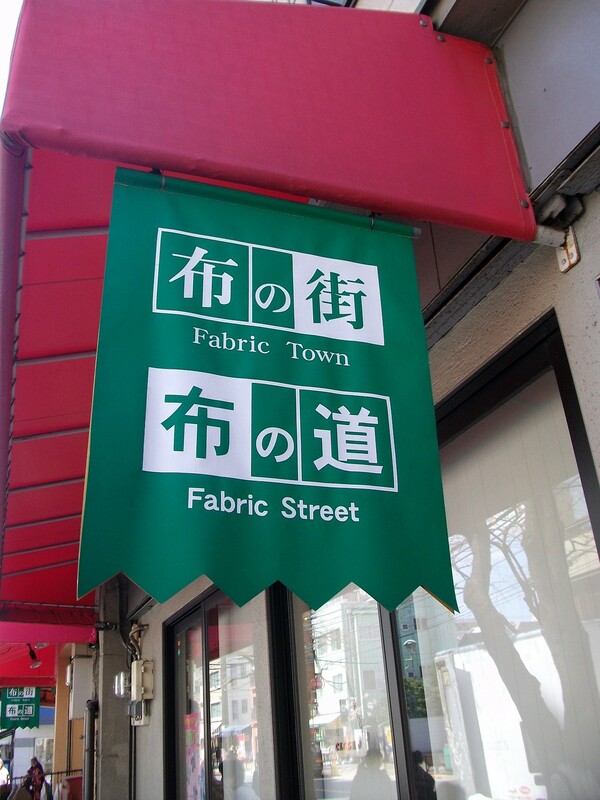 Posted by brianbadical on February 26, 2013 in Uncategorized and tagged fabric, fabric town, Japan, mario, Mihama Cloth, Nippori, Pokemon, Tokyo, Tomato.